Five lucky Channel24 Movies fans stand the chance of taking home a fantastic hamper worth R2 000 each. 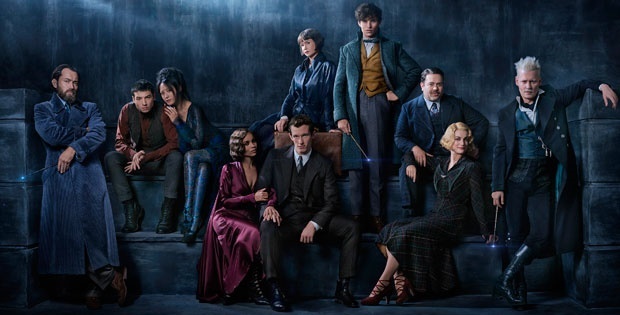 Cape Town – The mystical creatures are back in Fantastic Beasts: The Crimes of Grindelwald. The film – which stars Eddie Redmayne, Katherine Waterson, Dan Fogler, Jude Law and Johnny Depp to name a few – opens in cinemas on Friday, 16 November. In keeping the magic alive, five lucky Channel24 Movies fans stand the chance of winning a fantastic hamper worth R2 000 each. In the second of five all new adventures in the Wizarding World, Grindelwald (Johnny Depp) escapes custody and sets about gathering followers, most unsuspecting of his true agenda: To raise pure-blood wizards up to rule over all non-magical beings. In an effort to thwart Grindelwald’s plans, Albus Dumbledore (Jude Law) enlists Newt (Eddie Redmayne), his former student, who agrees to help, unaware of the dangers that lie ahead. Lines are drawn as love and loyalty are tested, even among the truest friends and family, in an increasingly divided wizarding world. CLICK HERE TO SEE OUR INTERVIEWS WITH THE CAST. This competition is open to all South African residents or South African citizens. The competition closes on Friday, 30 November at 17:00. Five randomly selected entries will be awarded a prize. Only one entry per person accepted. Winners will be notified via e-mail. The promoters reserve the right to amend the terms and conditions as well as terminate the competition at any time. In the event of such termination, all entrants agree to waive any rights that they may have in terms of the competition and acknowledge that they have no recourse against Channel24, its advertising agencies, advisors, suppliers and nominated agents. If you have won a 24.com competition within the last 30 calendar days, you may not participate in this competition. Channel24 is not responsible for the delivery of the prizes which is handled by a third party distributor. © 2018 Warner Bros. Ent. All Rights Reserved. Wizarding WorldTM Publishing Rights © J.K. Rowling WIZARDING WORLD and all related characters and elements are trademarks of and © Warner Bros. Entertainment Inc.